The S&P 500 dropped 6.9% in October and my net worth followed suit. During October my net worth decreased $24,458.86. Ouch! Our main financial target for 2018 is to pay down our non-mortgage debt. There's a variety of things that just kind of came up as life happened. Some medical debt, a vehicle, an unexpected new air conditioning for the house. Nothing out of the ordinary, but burdensome nonetheless. 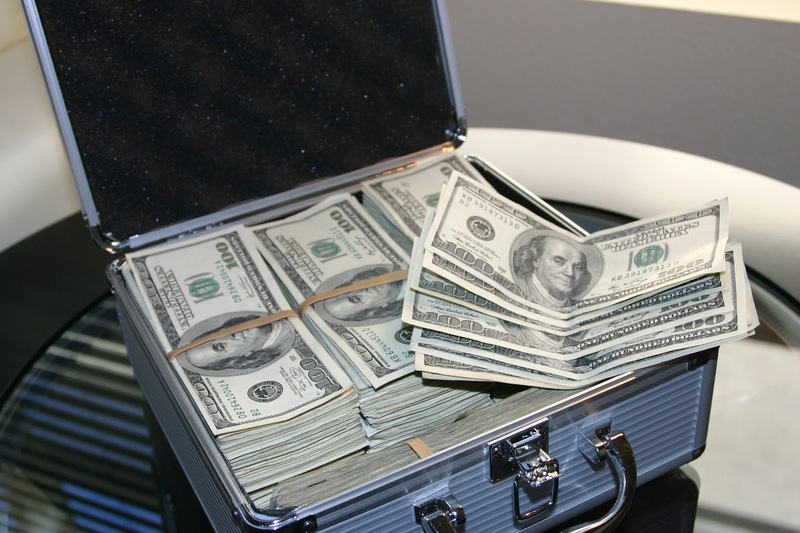 The air conditioning is gone already; however, we've since changed our priority to stock piling cash now that we're expecting. 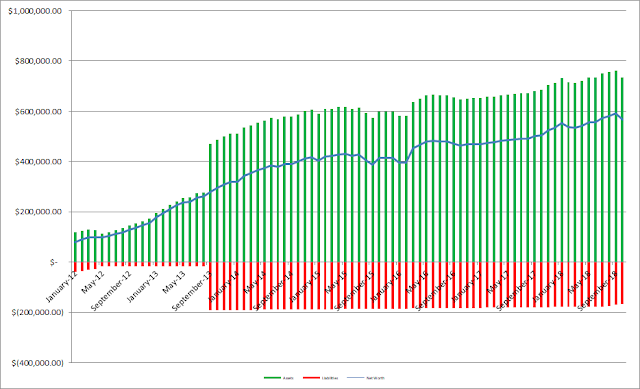 As of the end of October we have 26.9% equity in our house based on our purchase price from 2013. However, according to Zillow our house has increased in value around $26.6k from our purchase price which is a nice bonus, although I keep the purchase price as the value in the net worth equations. Based on Zillow's estimate the equity in our house jumps to 34.9%. 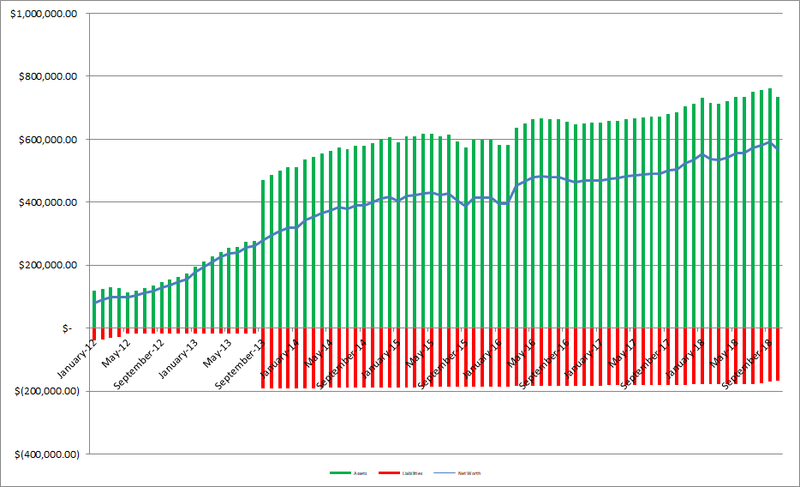 In order to give you a general idea of the breakdown of net worth I include a % breakdown of our net worth with each monthly update. The assets are broken down into cash, taxable investments, tax advantaged investments (401k, Traditional & Roth IRAs), house (using our purchase price) and other which covers things like our cars and various collectibles from when I was a kid (they don't really move the needle at all but I have them in my spreadsheet because I was bored). Since I write so much (or at least try to) about investigating companies as an investment I figured it'd be fun to see how our balance sheet looks. 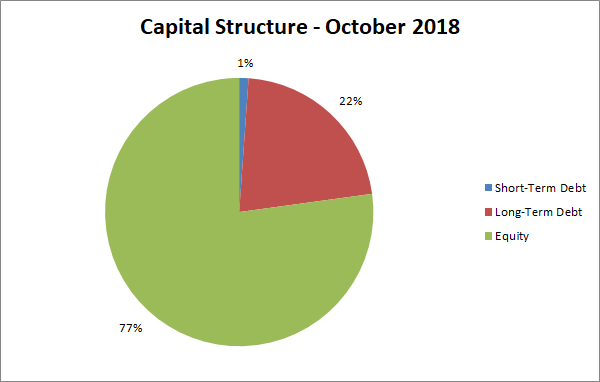 As of the end of October our debt to equity ratio is 30% and our debt to total capitalization is 23%. Not bad, but I can't wait to get that debt down to ZERO! 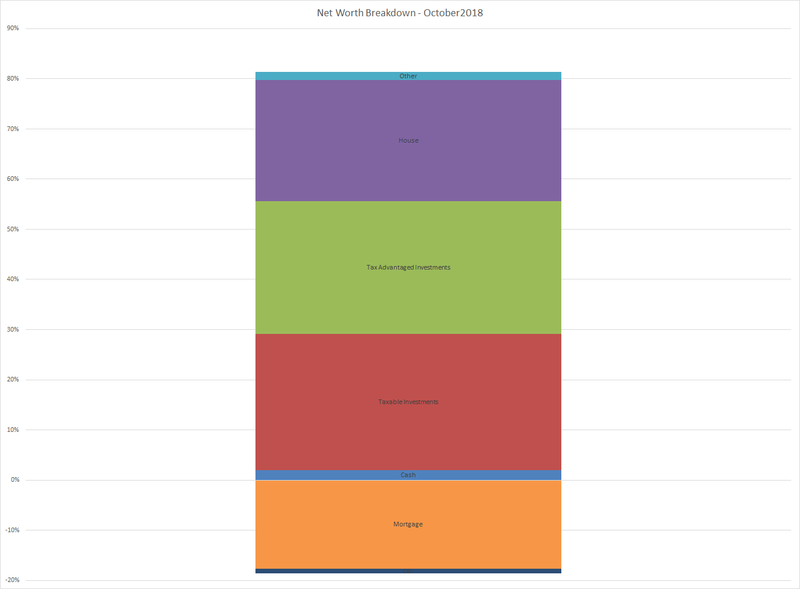 How did your net worth fare during October's sell off?